Brother, Can You Spare a Battery to Power my Phone Call? 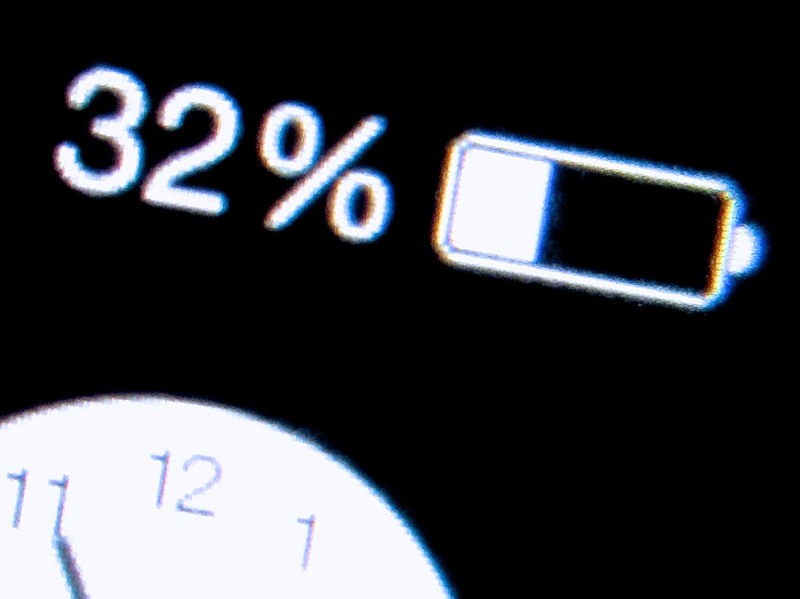 Is this what your smartphone’s battery icon displays at 2:55pm? You really need help from a Mophie battery case. Smartphone batteries can’t get you though your day anymore. Everybody out there seems to need a battery with more ‘mAh’ capacity. Worse yet, they often ask if I can loan them my iPhone charger for a quick hit. It feels like they’re bumming a digital cigarette off me. Now, I’m their personal power refueling station?! This isn’t a new problem, but it seems to be getting worse. Once upon a time, I could get through two days on one iPhone charge. Then, as I discovered more apps to use, I wasn’t so sure. So I made it a point to juice up every night. Now with iOS 7, my little partner seems even hungrier. I watch its battery percentage icon drain away throughout the day, and I often have to ration my afternoon email check-ins to keep the phone alive until I make it home. I’ve always felt I was somehow hiding this deep, dark secret that I couldn’t keep my phone going all day long. But there’s really no shame in it. You’re not some sort of malcontent who can’t control your impulses to overuse your smartphone. But the truth today seems to be that smartphone batteries just can’t keep up with the normal drain that’s put on them. So until that problem improves, you’re going to have to take matters into your own hands. Last year, I got the tiny Innergie PocketCell for my iPhone to help keep it alive on the road with me. This elegant $60 white ‘stick’ is small enough to slip into your back pocket and is great as a portable power back-up solution for lots of your hungry digital devices. The one big downside is you always have to carry it around with you. Plus, it’s cumbersome to set up your little digital MASH unit in the wild and execute a power transfusion whenever your smartphone runs low. And the good news is… There’s a lot of choice out there for you. Sure, battery cases will inevitably make your smartphone’s footprint a bit larger. But today, that’s not so much of an issue. In fact, if anything, bigger is better. iPhone users are drooling over all the larger screens out there. Have you seen the size of these Phablets? the Mophie Juice Pack Plus. So instead of going through my usual painstaking research before pulling the trigger on a battery case, I quickly settled on the Mophie. Or maybe it’s just the time of year, where you don’t have a lot of spare time to brood over the perfect power accessory for your smartphone. 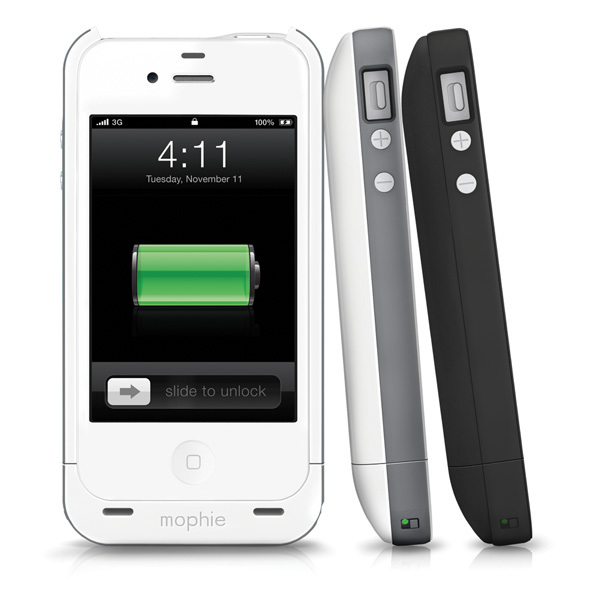 All my right-brain decision-making aside, Mophie is still highly regarded. But can you really put a price on having enough power to get you through your day? Mophie claims to almost double the runtime of your iPhone. What choice do we flawed, digitally dependent humans really have? …You really need one of these battery cases. And who wants to spend this time of year worrying about your power limitations? Open up your brain space for more important concerns. Time is running out and you don’t have all your presents yet!? If only it was easy to find a great last-minute tech gift.